Many of my seaweed images use dead or dessicated material and the attraction lies in the sketchy patterns formed against a plain background. 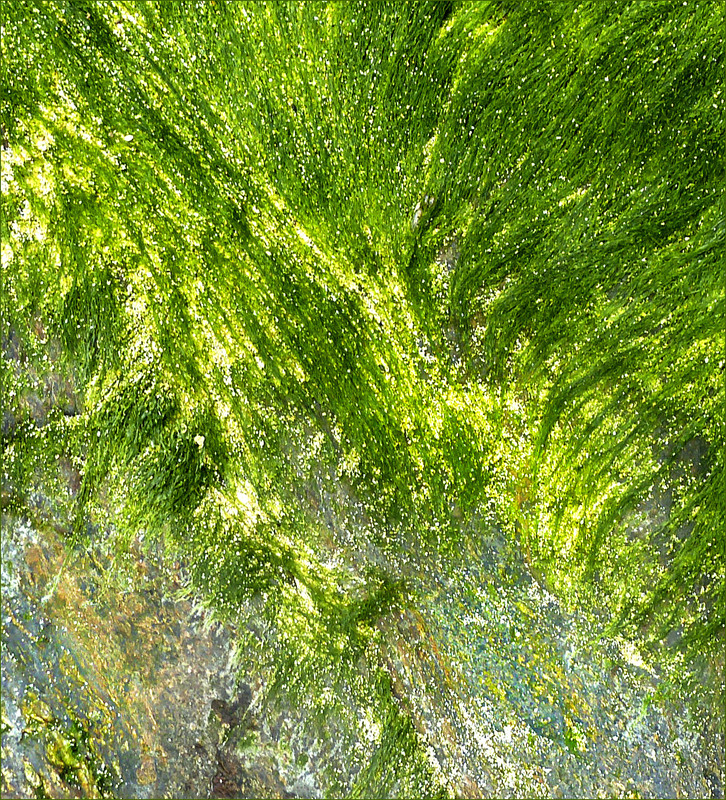 However, this image is derived from a photo of wet seaweed on a rock. The colours, lines, patterns and textures combine to produce a beautiful abstract composition. Yesterday a small but significant event took place outside my window. 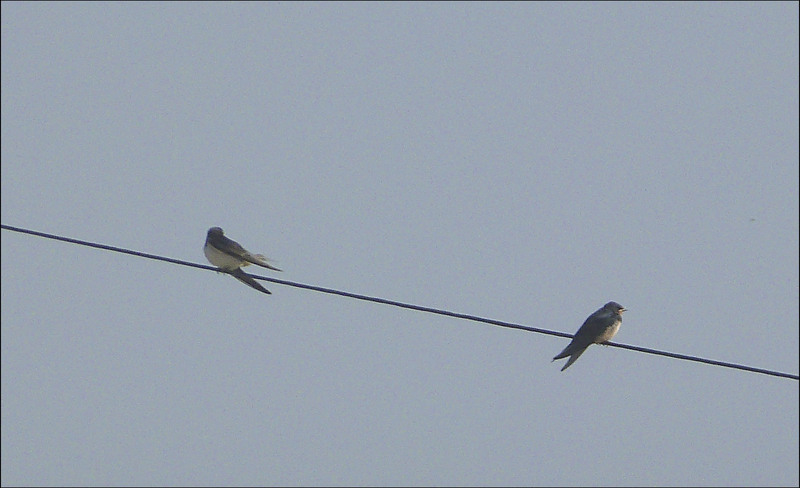 First two and then a small colony of housemartins gathered on the nearby telegraph wire. (It was only possible to photograph a sample section.) It was a clear indication that the seasonal migration is about to begin. During the next week or so these small birds will leave and fly south to Africa – quite probably to South Africa or Namibia – and will return in April or early May. 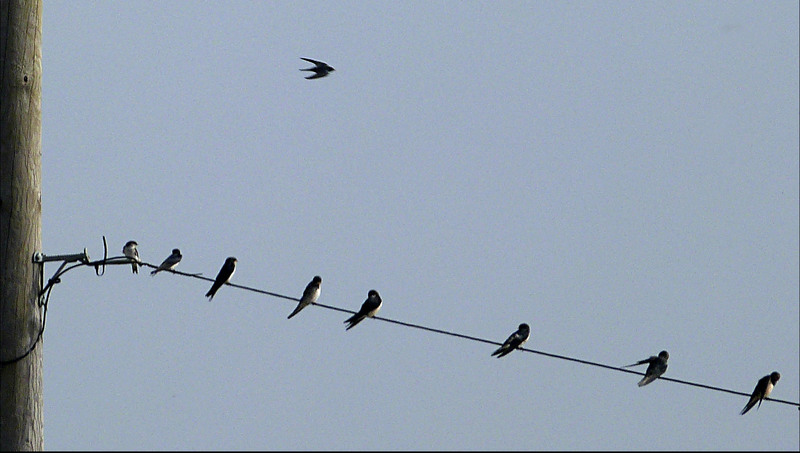 Many will find their way back to the same location, but not necessarily to the same nest. 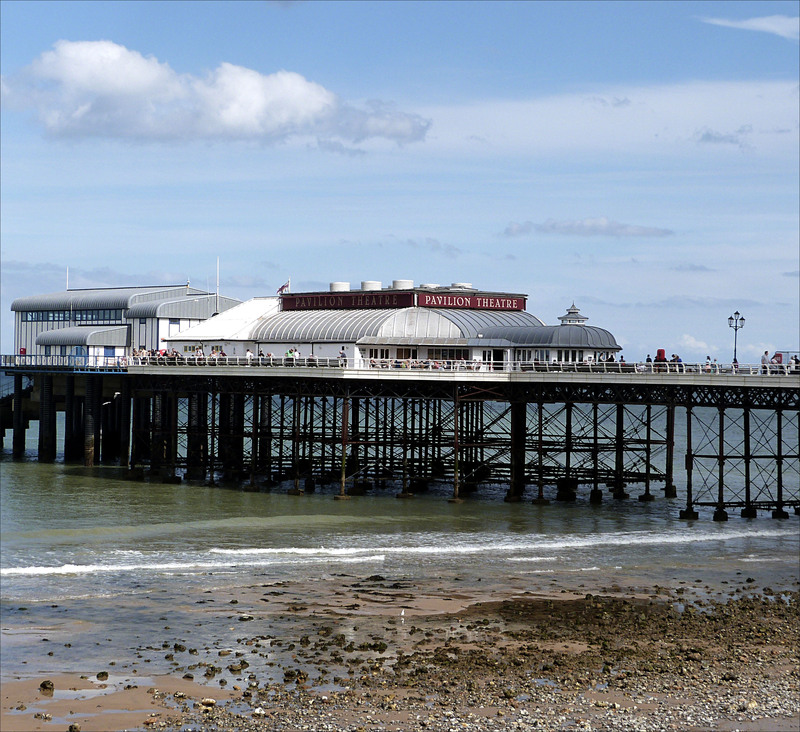 Cromer Pier is typical of the piers once found at seaside resorts around the UK. The Pier is 500 feet long and was opened in 1901. At various times since then it has been seriously damaged by storms, gales and, in 1993, by a 100 ton rig! Most piers were built in Victorian or Edwardian times and the cost of maintaining them is a constant problem. In 2012 it was announced that £8 million of work was set to begin on revamping Cromer Pier and the town’s Victorian sea defences. At the beginning of the twentieth century there were 100 piers: the latest count totalled 55. From the same camera point I turned perhaps 30°-40° to my left and focused on the horizon. 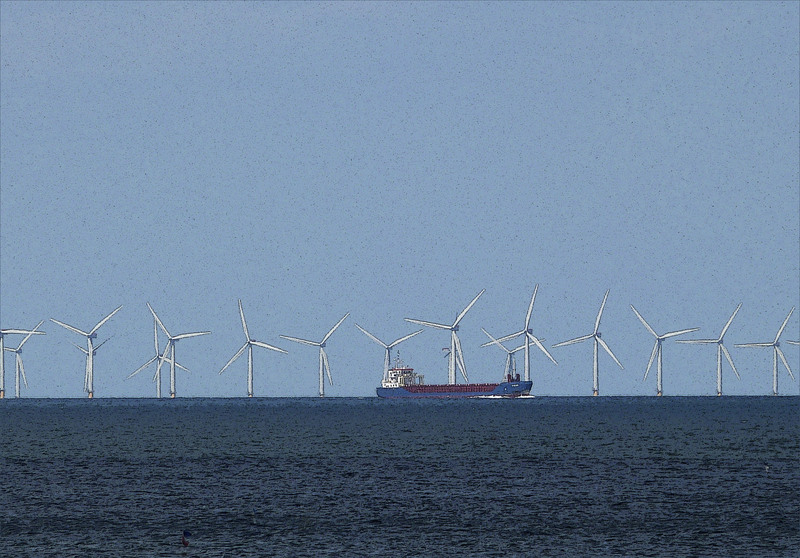 I was just able to see the Sheringham Shoal Offshore Wind Farm some 17-20 kilometres from the shore (hence the poor quality of the photo). The Wind Farm is huge and covers approximately 14 square miles. It has 88 turbines, each with a tower 130 metres high from the surface of the sea and 3 blades each measuring 52 metres in length. It is estimated that enough power is being produced for 220,000 average homes. It was an interesting experience to glance right to a structure and tradition dating back more than 100 years and to look forward and glimpse the future. ‘Bathing boxes’ evolved from the wheeled bathing machines used in the early nineteenth century to protect the modesty of the Victorians. Their popularity gradually increased and, as they became available to a wider social mix, they were labelled ‘holiday homes for the toiling classes’. 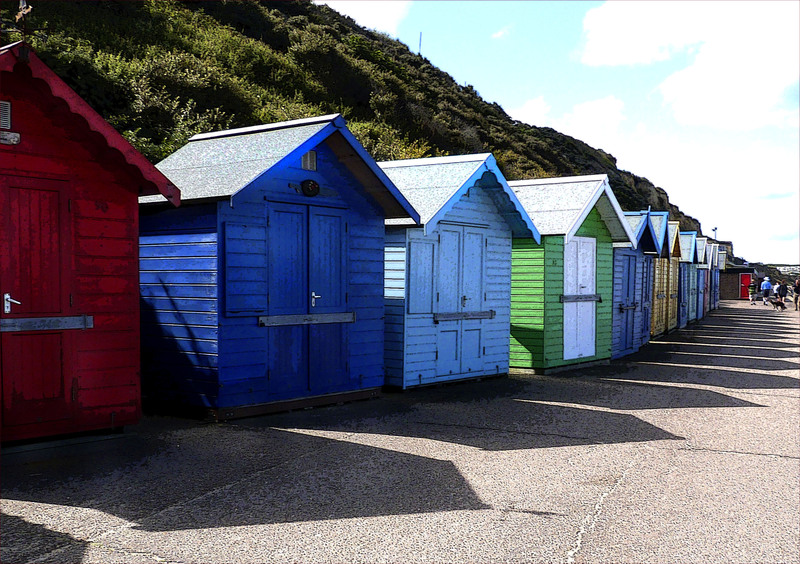 During World War II all UK beaches were closed, but their re-opening in the late 1940’s and 1950’s led to the heyday of the beach hut. 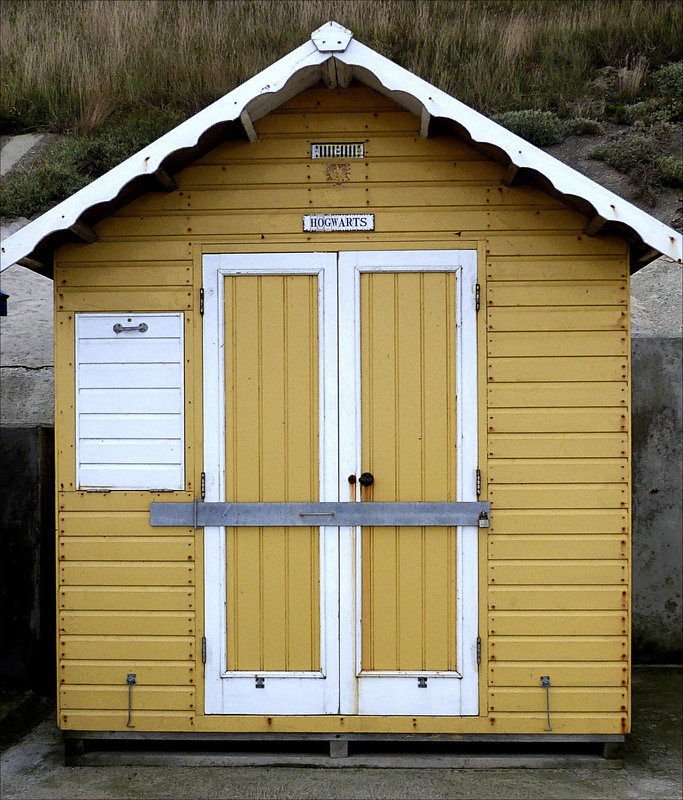 Several seaside resorts have to this day maintained the beach hut tradition. Some huts are privately owned, others are rented from the local council. In North Norfolk, where these pictures were taken, rental prices in high season have been reduced to £135 per week to attract custom. 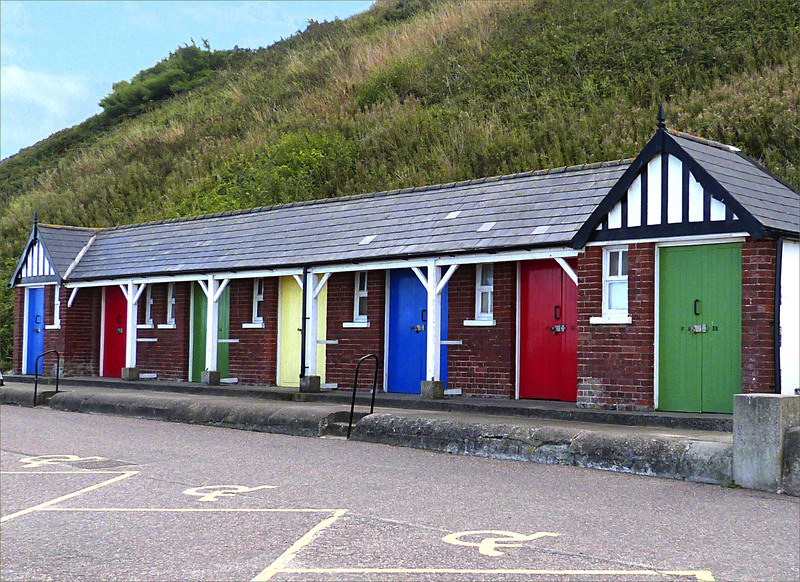 The huts lack utilities but have splendid panoramic sea views. 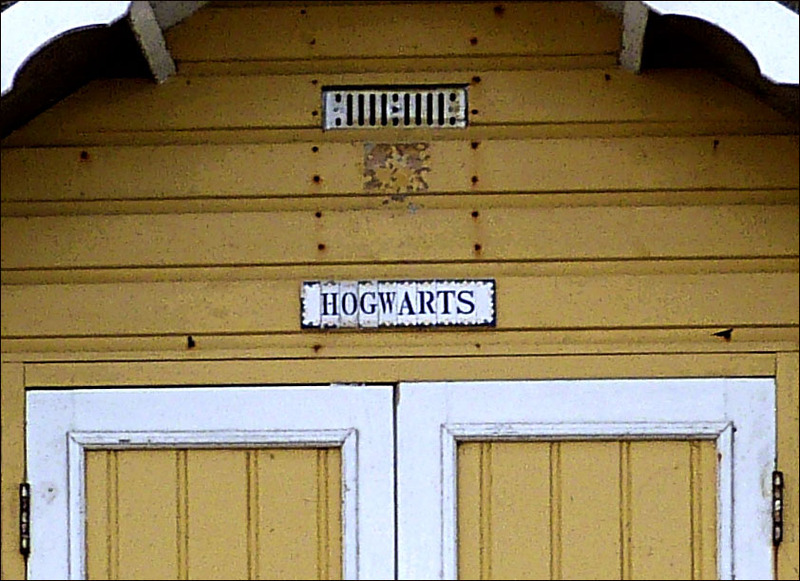 The occasional hut acknowledges that we are now in the twenty-first century – as Harry Potter fans will appreciate! 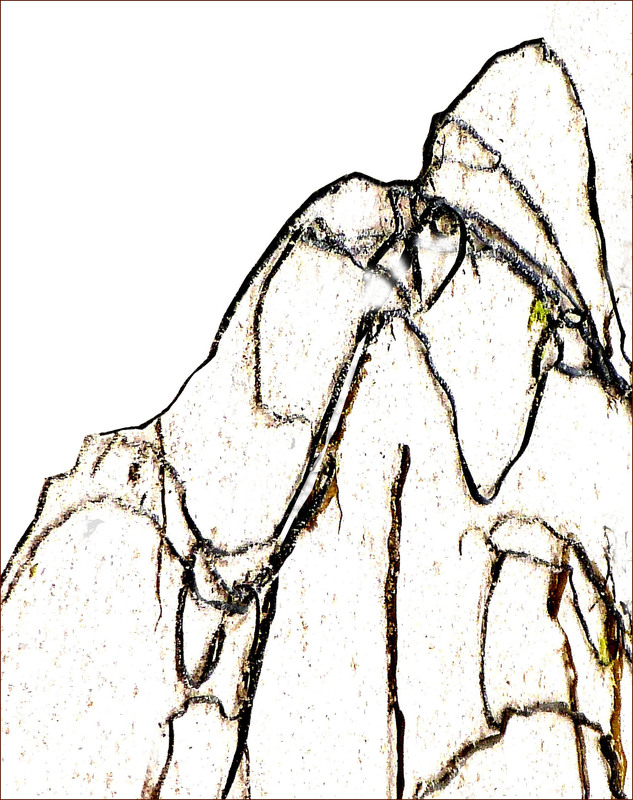 As with earlier posts, such as The Mystic and The Mendicant, this is a seaweed pattern as found. Nothing has been added and nothing taken away – except the sand (a few grains of which have been retained). A touch of saturation has been applied. 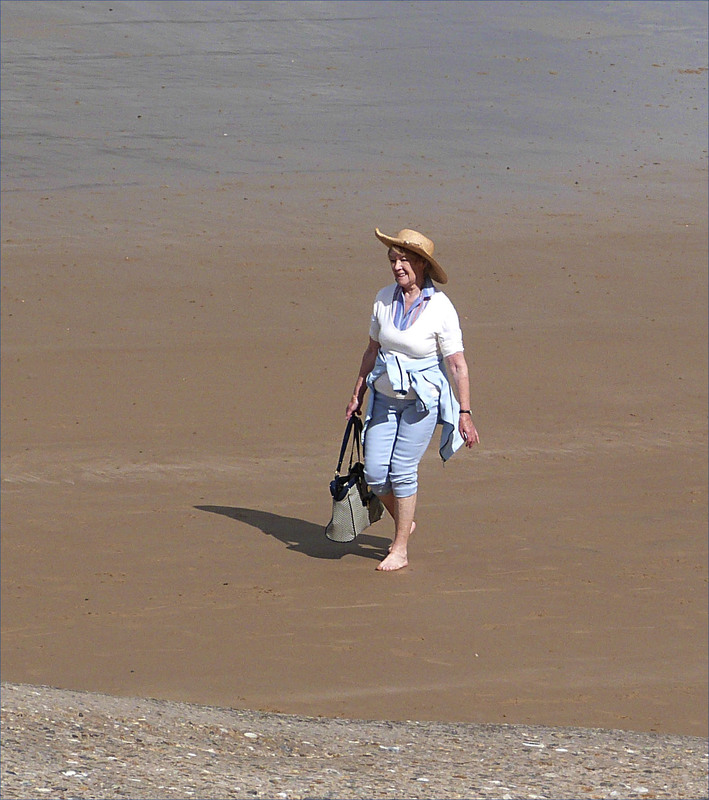 A quiet, uninterrupted paddle and a bare-footed walk across the warm sand in bright sunshine – how glorious life is! 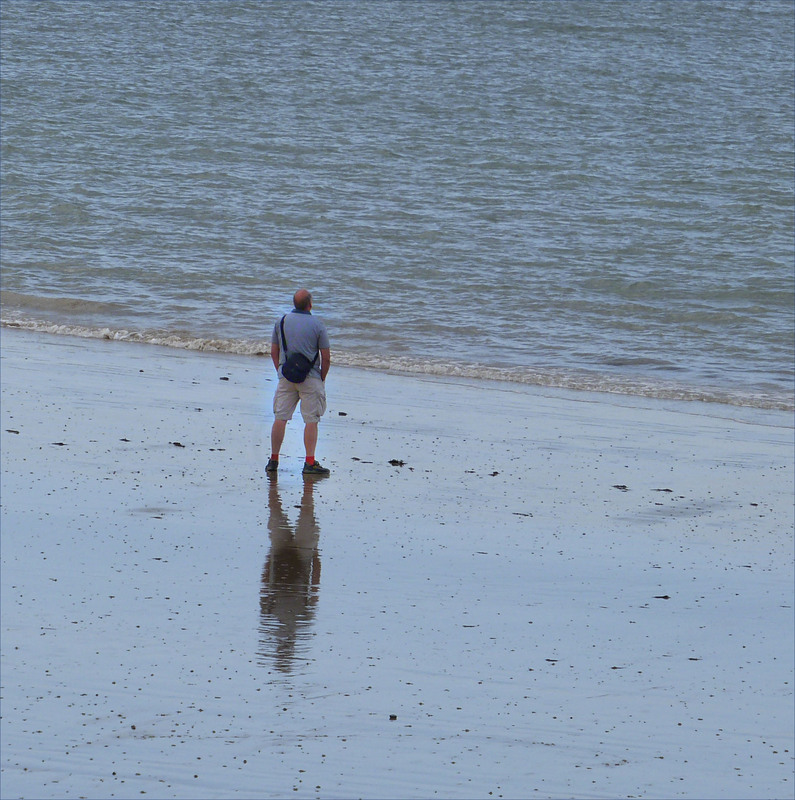 It is extraordinary how therapeutic a short time by the sea can be. The whirligig of everyday life is temporarily stilled. The vastness of the sea, the soothing ripple of the waves, the plaintive calling of the gulls, the awareness of unaccustomed space combine to induce personal reflection and meditation.